One of RCA’s great stars was the glamorous American soprano Anna Moffo. 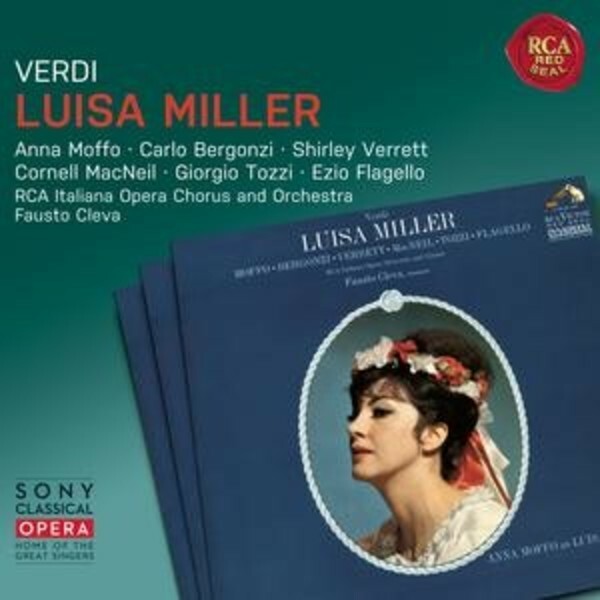 From 1965, we have Moffo here in the title role of Luisa Miller, one of her most celebrated Verdi roles: “one of her best recordings” (Musicweb-international). The rest of the cast is no less distinguished: “Carlo Bergonzi is his usual, aristocratic self and also is in excellent voice. Cornell MacNeil is exactly right for Miller, the quintessential Verdi baritone role” (classicstoday.com).